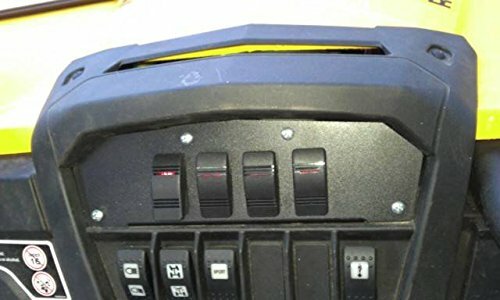 The Can-Am Commander Electrical Command Center by EMP allows you to neatly add all of your accessories to your vehicle. This unit comes complete with a fuse block, fuses, four illuminated rocker switches and a battery cable with terminals. (4) Pan Head Mounting Screws. 10 gauge Power Battery Cable. If you have any questions about this product by Extreme Metal Products, contact us by completing and submitting the form below. If you are looking for a specif part number, please include it with your message.